To combat an escalating opioid epidemic, the Drug Enforcement Administration trained its sights in 2011 on Mallinckrodt Pharmaceuticals, one of the nation's largest manufacturers of the highly addictive generic painkiller oxycodone. It was the first time the DEA had targeted a maker of opioids for alleged violations of laws designed to prevent diversion of legal narcotics to the black market. And it would become the largest prescription-drug case the agency has pursued. 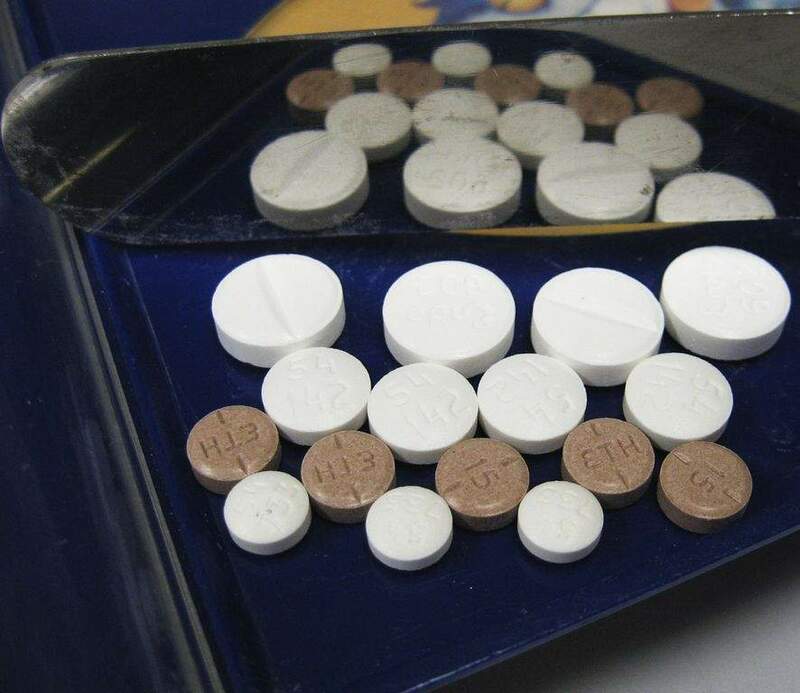 Ultimately, the DEA and federal prosecutors would contend that the company ignored its responsibility to report suspicious orders as 500 million of its pills ended up in Florida between 2008 and 2012 – 66 percent of all oxycodone sold in the state. Government investigators alleged in internal documents that the company's lack of due diligence could have resulted in nearly 44,000 federal violations and exposed it to $2.3 billion in fines, according to confidential government records and emails obtained by the Washington Post. But six years later, after four investigations that spanned five states, the government has taken no legal action against Mallinckrodt. Instead, the company has reached a tentative settlement with federal prosecutors, according to sources familiar with the discussions. Under the proposal, which remains confidential, Mallinckrodt would agree to pay a $35 million fine and admit no wrongdoing. “Mallinckrodt's response was that 'everyone knew what was going on in Florida but they had no duty to report it,' ” according to an internal summary of the case prepared by federal prosecutors and obtained by the Post. The case shows how difficult it is for the government to hold a drug manufacturer responsible for the damage done by its product. DEA investigators, appalled by rising overdose deaths, said they worked for years to build the biggest case of their careers only to watch it falter on uncertain legal territory and in the face of stiff resistance from the company. In a statement, a Mal­linckrodt spokesman said the company has worked hard to fight drug diversion. “Mallinckrodt has long been a recognized leader in developing and sharing best practices related to the prevention of opioid diversion and misuse, and has continuously invested significant resources to address this serious drug epidemic,” the statement said. Under federal law and DEA policy, pharmaceutical companies are required to “know their customers” and monitor the pattern, frequency and amounts of drug orders. When suspicious orders occur, companies must immediately notify the agency or risk losing their DEA licenses to sell or manufacture controlled substances, as well as face civil and criminal penalties. According to the documents and sources familiar with the settlement talks, Mallinckrodt was willing to acknowledge its responsibility to report suspiciously large orders placed by its customers, a network of wholesale distributors. But the company said that it should not be held responsible for what happens to its drugs after the distributors send them to their customers, such as doctors and pharmacies. Mallinckrodt contended that the DEA has never required manufacturers to know their customers' customers and that the agency provided the company with conflicting advice about its responsibilities under the law. The proposed $35 million settlement comes as the nation's prescription opioid epidemic continues to worsen, with nearly 180,000 lives lost to overdoses since 2000. Mallinckrodt was founded 150 years ago in St. Louis and became the leading supplier of chemicals for the emerging photography industry. Now based in the United Kingdom after corporate acquisitions, Mallinckrodt is one of the nation's largest manufacturers of oxycodone, a powerful opioid made from the natural painkiller found in poppies. In 2014, Mallinckrodt, which is publicly traded and maintains its U.S. headquarters in St. Louis, notified its shareholders that it was under investigation by the federal government and had received subpoenas for documents. But with no sign of civil action by the DEA, the company said it believed that “the ultimate resolution will not have a material adverse effect on our financial condition, results of operations and cash flows.” In fiscal 2016, the company posted $3.4 billion in revenue and a $489 million profit. This year, on Feb. 7, Mallinckrodt told its shareholders in an SEC filing that the investigation “will not have a material adverse effect on its financial condition” because it has set aside the money. Sources close to the negotiations said that the two sides had recently reached a tentative agreement to settle the case for $35 million. With final approval pending from the Justice Department, some of those who worked on the case admitted that they are deeply disappointed by the dollar amount of the proposed fine. Drug manufacturers have paid much larger fines for other misdeeds. GlaxoSmithKline was fined $3 billion, and Pfizer was fined $2.3 billion for illegally promoting off-label drug use and paying kickbacks to doctors. Purdue Pharma paid a $600 million fine, and three of its executives pleaded guilty to charges that they misled regulators, doctors and patients about the risks of the painkiller that is widely blamed for setting off the nation's opioid crisis – OxyContin. All of those ­cases were initiated by the Food and Drug Administration. The largest fine the DEA has levied against a drug distributor was the $150 million that McKesson, the nation's largest drug wholesaler, recently agreed to pay following allegations that it failed to report suspicious orders of painkillers. For a company the size of Mallinckrodt, the proposed $35 million fine is “chump change,” one government official said.